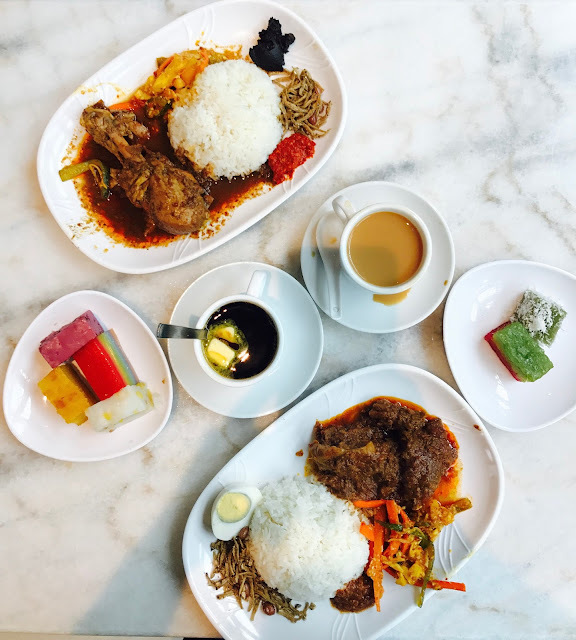 A Peranakan cafe has opened up in Suntec City, taking over the place previously occupied by Cocoa Colony. 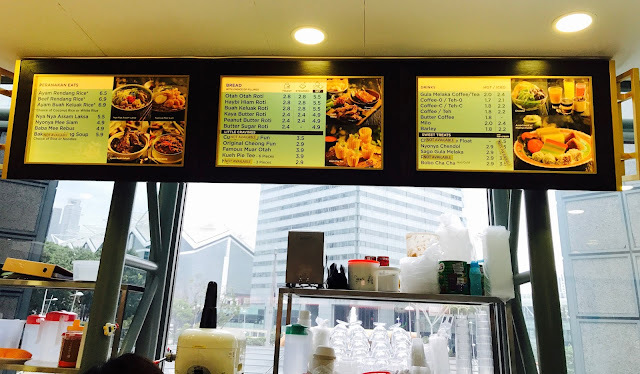 This cafe is hugely popular with the office workers in the area and the cafe is jam-packed with people especially during lunchtime. Be sure to come down early and secure a place! 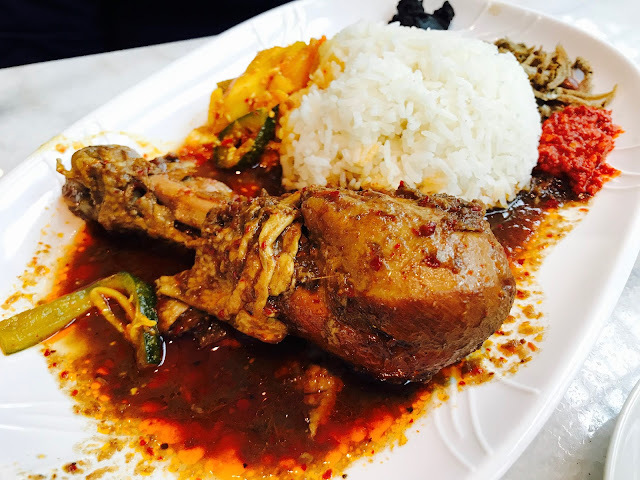 Ayam Buah Keluak Rice can be considered one of the signatures of the Peranakan cuisine. The chicken is cooked using the nuts from Pangium edule (the “Kapayang” tree), giving the dish its sour and spicy flavours. Accompanied by nonya achar, ikan bilis and roasted peanuts and a scoop of the black aromatic buah keluak paste that tastes like black fermented beancurd. The sour and spicy flavours have worked its way into the tender chicken. more. It is a far cry from the chewy and tender beef rendang I had at Penang Place Restaurant the week before. 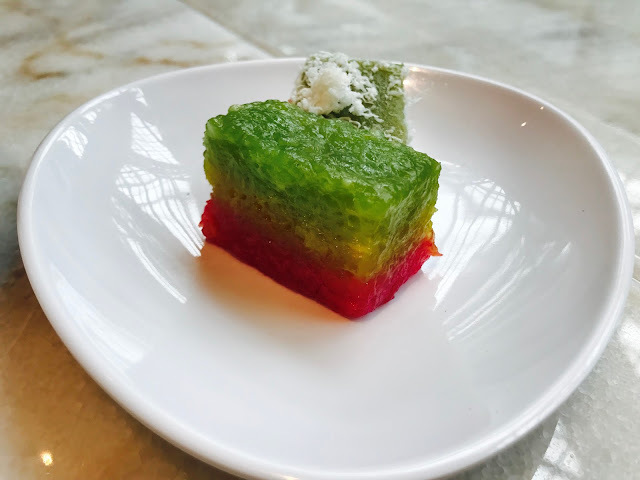 Nya Nya Your Peranakan Cafe serves an assortment of nonya kuehs, beautifully displayed in the glass cabinet beside the cashier. 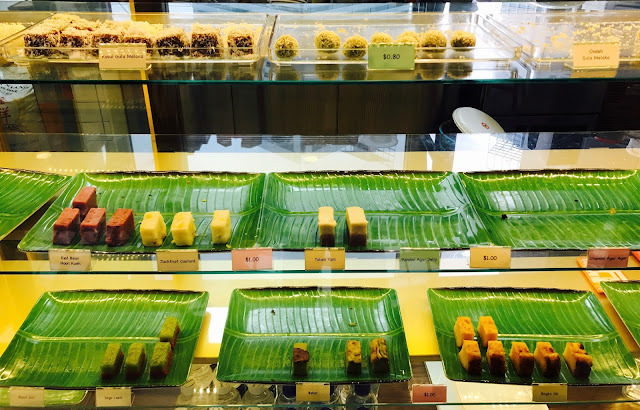 The kuehs sell out pretty fast, so do act fast and order before someone else takes that last piece of your favourite kueh. 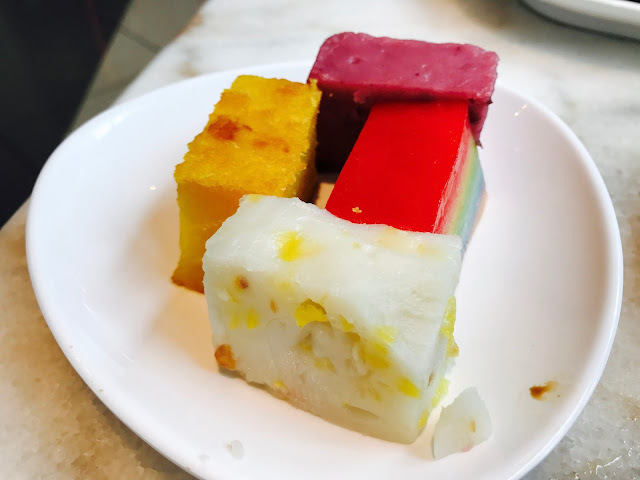 Some of the available kuehs are Kosui Gula Melaka, Ondeh Gula Melaka, Red Bean Hong Kueh, Jackfruit Custard, Talam Yam, Pandan Jelly, Sago Lapis and Bakar. I personally find that the kuehs taste just average, nothing special about them. Nya Nya Your Peranakan Cafe serves some very interesting-sounding drinks such as this Butter Coffee, where two slices of butter are added to a cup of thick black coffee. Another interesting drink is the Gula Melaka Coffee/Tea where gula Melaka (palm sugar) is used in place of condensed milk and refined sugar, giving your drink a tropical sweetness. 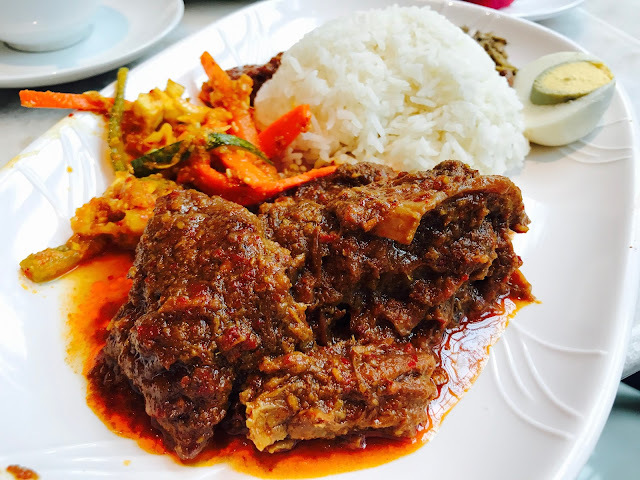 I can’t comment on the authenticity of the food at Nya Nya Your Peranakan Cafe because I did not grow up eating Peranakan food, but I have read many reviews that the food here is very authentic. 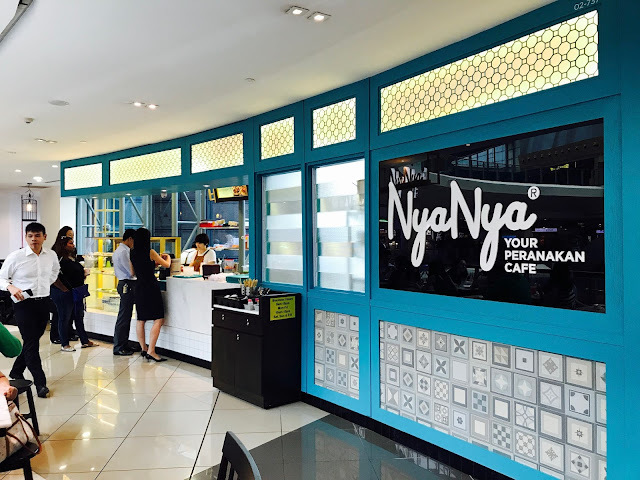 How do you like the food at Nya Nya You Peranakan Cafe? Do let me know in the comments below!